Home › Latest News › 2FM’s ‘Play The Picnic’ in aid of Jack & Jill is back! 2FM’s ‘Play The Picnic’ in aid of Jack & Jill is back! The exciting competition will see 10 of Ireland’s best up-and-coming acts win a coveted live set at the country’s biggest music and arts festival, Electric Picnic. Bands, solo artists, singer-songwriters, DJs, rappers, hip-hop artists, you name it… acts of all musical persuasions will be invited to submit a track that they think will bag them a spot on the Play the Picnic Stage at this year’s Electric Picnic. 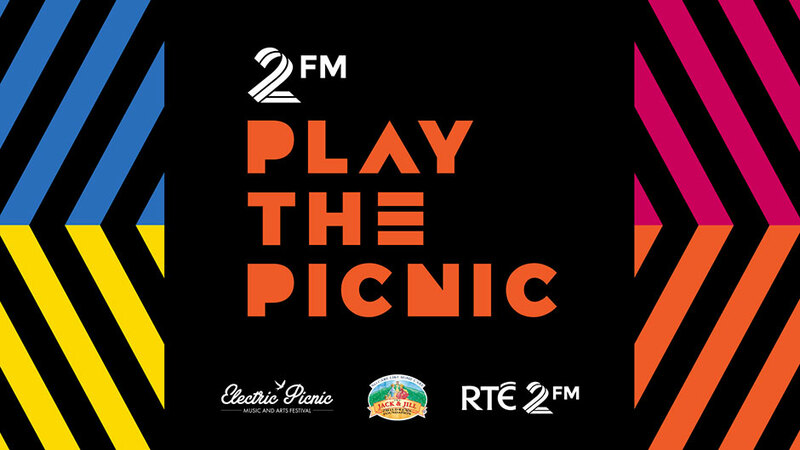 Entrants should email a link to their track to playthepicnic@rte.ie (e.g. Soundcloud, WeTransfer, Mixcloud). Please do not send MP3 or other audio format files as they will not be counted as entries. One entry per act. Full terms and conditions are available on the 2FM Website. Closing date for entries is Friday 22 June 2018. After being whittled down to a list of 30 by an expert judging panel, the public will be invited to vote for their favourites – and by voting be in with a chance of winning tickets to this year’s Electirc Picnic Festival. The 10 highest-ranking acts, as chosen by the public in a text vote will then be added to the bill at the Play the Picnic Stage at Electric Picnic. In addition, the act from the final ten with the highest number of votes overall will play at one of Electric Picnic’s larger stages, TheCosby Stage, granting them even more exposure to Picknickers. They will also win a masterclass with Festival Republic MD Melvin Benn on how to get festival bookings for your band; a masterclass with 2fm on how to go about approaching radio stations and obtaining airplay; a studio session with some of Ireland’s top sound engineers at 2fm’s state-of-the-art studios; and have their song broadcast to the nation on 2fm.